The way she makes you feel is clear. Velma Celli gives you fever when she struts her stuff and shows off her sequins and heels in her scorching, sordid show at Hippodrome Casino’s Matcham Room. Celli, the creation of Ian Stroughair, commands the stage in her regular spot at the intimate venue, with a show packed full of musical hits and chart toppers. Oh, and a little burlesque and aerial acrobatics thrown in. From belting out Britney to emulating Evanescence, Celli’s powerful vocals fill the room and leave the audience in delighted awe as she squeezes in a joke between sips of wine. She slips seamlessly from Cher to Shania Twain, through the realms of musical theatre and back again. 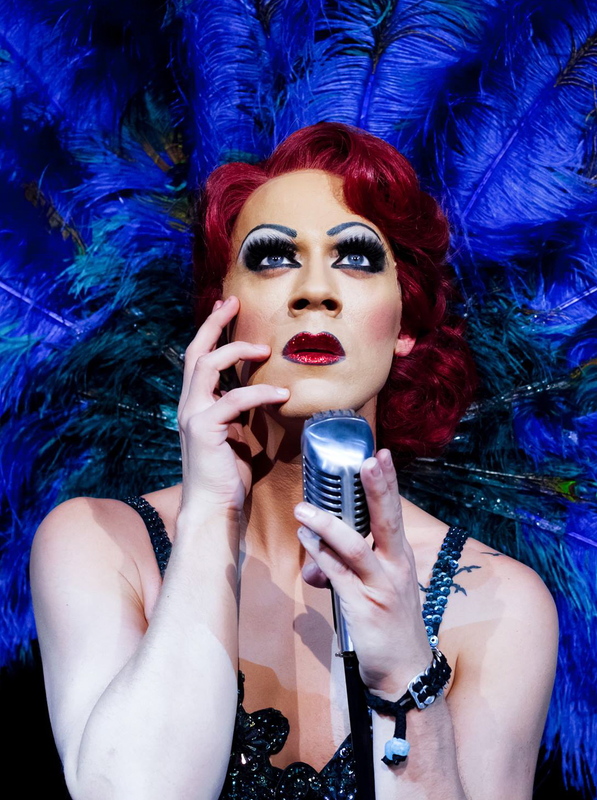 A stunning performance of They Don’t Make Glass Slippers from Soho Cinders sits in perfect harmony with her tender version of Jessie J’s Nobody’s Perfect, stealing your breath as the fiery redhead drag queen mellows for a moment. Celli’s unique take on songs extends to the lyrics, with ‘Part of Your Twirl’ adapted from The Little Mermaid and ‘Velma’ starring in Chicago. Christina Bianco and Kerry Ellis joined Celli on the stage, with ruthless Q&As thrown in before performances. Bianco’s flawless vocals stole the show as she filled the room with divas during Cabaret, with impressions thrown in of Celine Dion, Julie Andrews and Liza Minelli to name a few. Celli and Bianco joined forces to cover P!nk’s Try, while Ellis’ duet with Celli stuck to her musical theatre roots with a beautiful version of I Know Him So Well from Chess. In a show filled with ever-changing music, divas and laughs, one thing is for certain: the name on everybody’s lips is gonna be Velma.